The Monaco Yacht Show and Cannes Yachting Festival are two showcase yachting events. 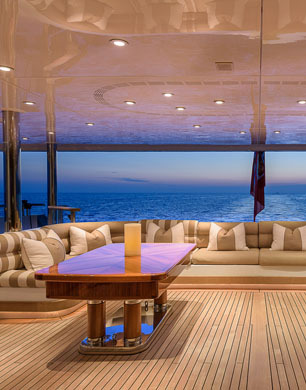 This year, excitement is high for the superyachts & world premieres. The Mediterranean yacht show season is almost upon us, with the excitement building for the Cannes Yachting Festival and the Monaco Yacht Show, both taking place in September. These two internationally-acclaimed yacht shows are celebrated as the finest opportunities to buy or sell a luxury yacht in Europe, with the top yacht brokerages exhibiting magnificent superyachts in their sales fleet. The Cannes Yachting Festival kicks off the festivities, running for six days between the 11th and 16th of September. As Europe’s largest in-water boat show, this prestigious event draws nearly 600 yachts up to 55m in length to the palm-lined docks of Cannes. The show has a phenomenal reputation for yacht debuts, with 120 global or Mediterranean premieres. All eyes will be on the latest models as well as futuristic yacht designs, including an array of eco-friendly yacht design being unveiled in 2018. Of course, it’s not (quite) all about the yachts at Cannes, with the third edition of the Luxury Gallery showcasing luxury brands as well as the latest limited-production supercars to accompany the yachting lifestyle. 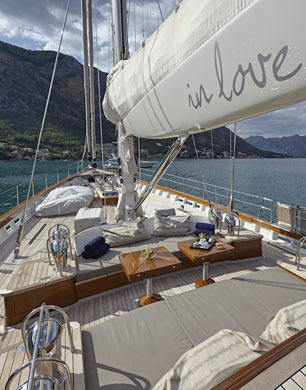 S/Y IN LOVE is a luxury 36.5m sailing yacht with four staterooms for nine guests in a contemporary and roomy interior designed by Jean Guy Vergès. Built in 2014 by Su Marin for its current Owner, this sailing yacht for sale displays beautiful lines and large deck spaces. At anchor, Fraser is presenting the striking M/Y ARTPOLARS, a red-hulled 40.56m motor yacht boasting an upper deck Master suite with private aft deck and a sundeck Jacuzzi. 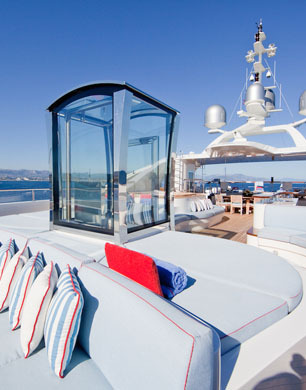 This four deck motor-yacht was launched in 2013 and accommodates 10 guests in five staterooms. Also at anchor will be the world-cruising 38.99m sailing yacht, S/Y CYRANO DE BERGERAC, which was built by Camper and Nicholson shipyard in 1993 and refitted in 2016 in superb style. Accommodating up to 10 guests in three staterooms and featuring a Robert Humphreys and John Munford design, this sailing yacht is built to cruise the world’s oceans in comfort. One of the most exclusive events in the international yachting calendar, the Monaco Yacht Show (MYS) will run from the 26th to the 29th of September. Drawing 120 superyachts to Port Hercules, the MYS predominantly showcases large and recently-launched superyachts, with an average yacht length of 50 metres and the average age of exhibiting yachts under two years old, with around 40 global debuts being unveiled. This year’s MYS promises to be better than ever, with a new layout including a three-times-larger tender and toys area, as well as a reconfigured exhibitor’s space so that shipyards and brokerage houses are located right next to the yachts they are displaying. The prestige Car Deck will also return in 2018, as well as a glittering line-up of VIP experiences and after show parties, including the 2nd Annual Monte Carlo Gala for the Global Ocean. The 76.6m M/Y BOADICEA is a standout from Amels, featuring a private Owner’s deck, cinema, spa, elevator, and touch-and-go Heli landing area, as well as an oversize sundeck with pool. Launched in 1999, this pedigree yacht has been upgraded to perfection with a 2017 refit. 55m S/Y MARIE is a stunning 55m sailing yacht from Vitters with incredible heritage; she is a past winner of the Superyacht Cup in Palma. With an exceptionally light and spacious interior and glorious features including a baby grand piano, hydraulic-lift crow’s nest and working cannons on deck to mark the end of regattas and shows. M/Y LATITUDE is a 51.99m Benetti with exceptional volumes, Master stateroom with balconies, art deco inspired interior and beach club. Six double staterooms are accessed via a glass elevator spanning the five decks, and the yacht comes complete and an oversize entertainer’s sundeck and a superb charter reputation. The Cannes Yachting Festival and the Monaco Yacht Show are unmissable events for yacht buyers and yachting industry professionals keen to see some of the most spectacular superyachts afloat today.